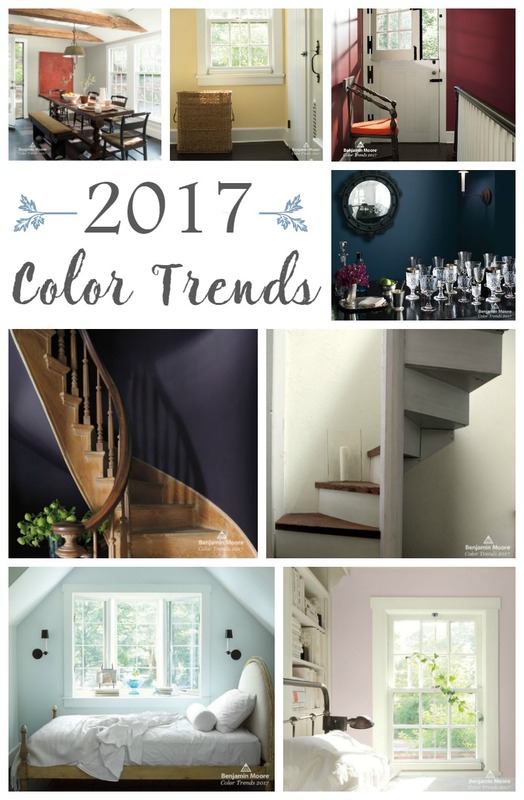 Are you ready to see what the color trends for 2017 are? 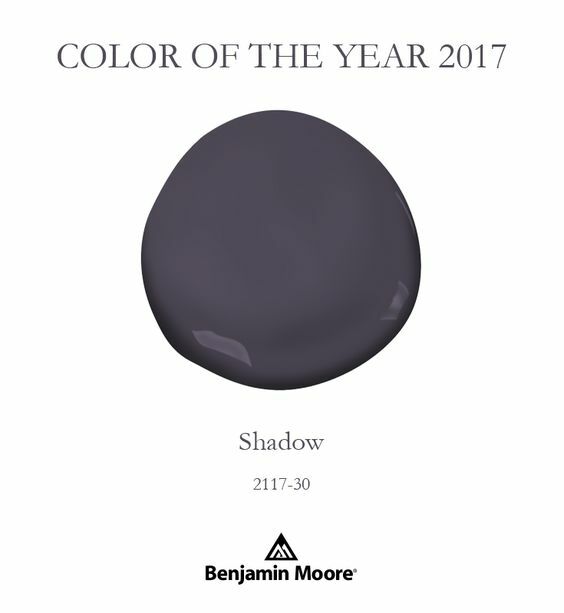 Benjamin Moore released their 2017 color picks earlier this week and I'm sharing them with you today. It's always fun to see what color they choose for their palette. Some of them are winners, some not so much. But there's something for everyone. See what you think and let me know your favorites. It's a really attractive palette. 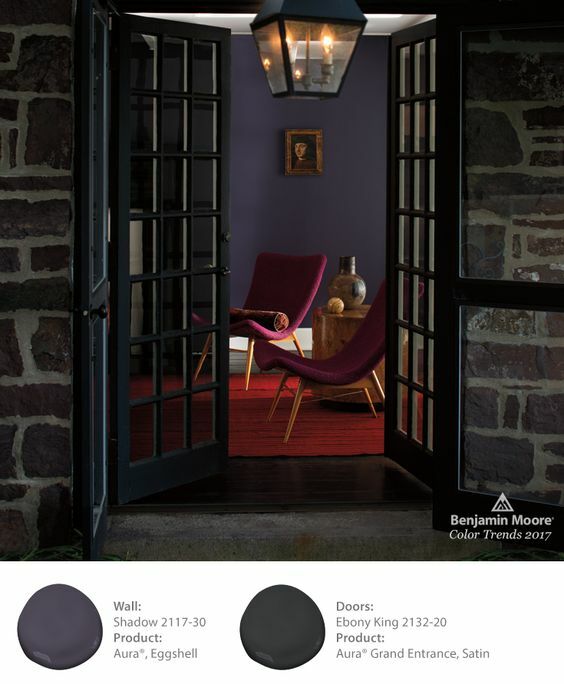 The lighter colors would be nice for common areas like hallways, entry foyers, etc, while the darker colors are ideal for spaces where you would want to create some drama. 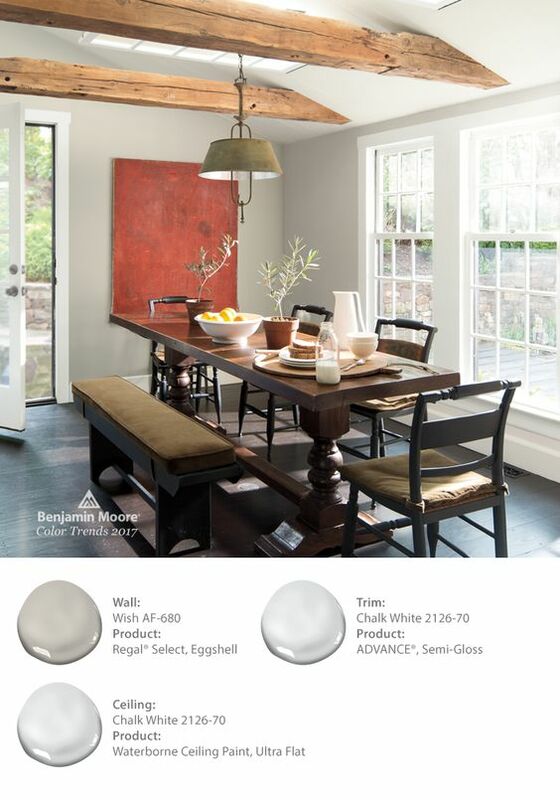 Dining rooms, powder rooms, accent walls are all great places for bold colors. 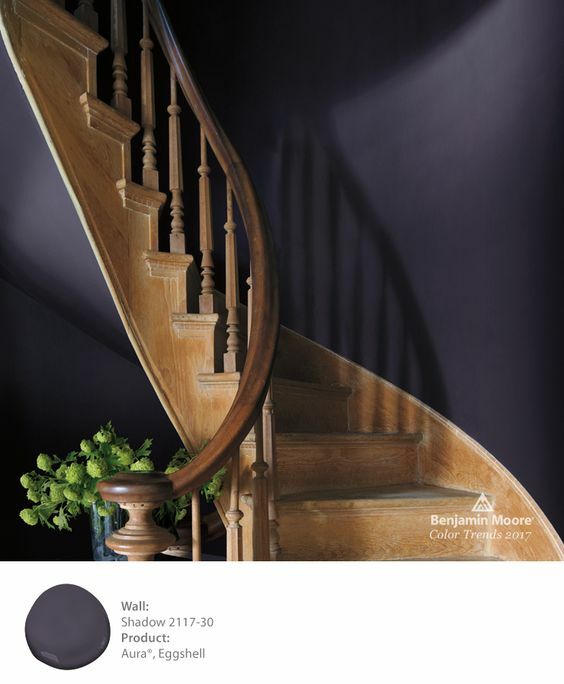 "Wish" is a nice neutral that would serve as a wonderful backdrop for almost any color. It could be used in any space and looks really nice in this dining room. 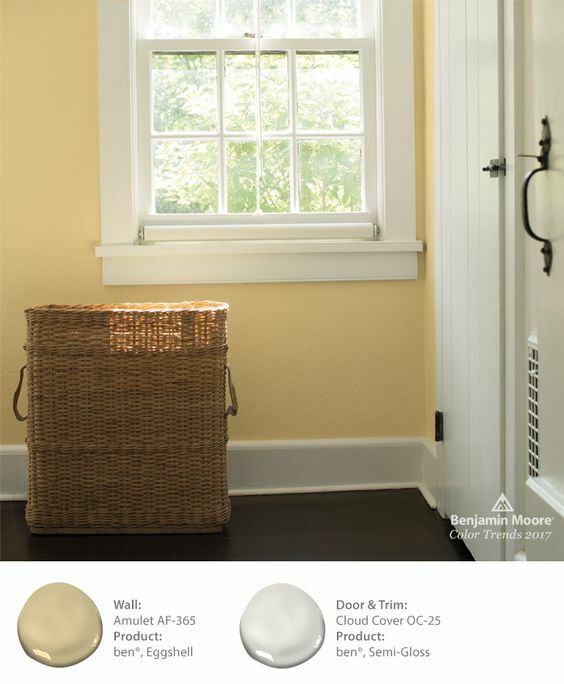 This Amulet color looks nice with the dark floors and light trim. Do you like yellows? 1984 called and is sending us some mauve. Except it's not called mauve anymore. 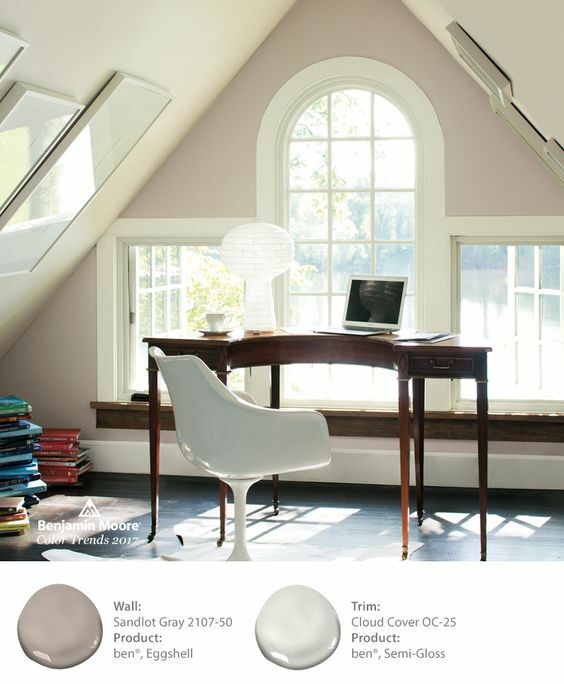 It's called gray, but is really mauve in disguise. What do you think of this one? More 80's influence here, but this is much more tolerable (sorry if you like mauve). 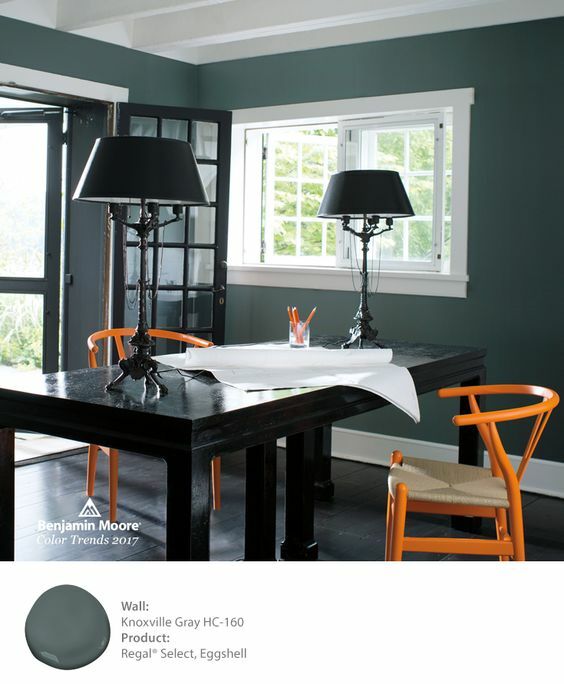 This color would coordinate with a lot of different shades without clashing. Nice, clean Chalk White has a refreshing country side feeling to it. This one is a keeper, in my opinion. What do you say? This color is scrumptious. I've always had a soft spot in my heart for rich reds and this one has a beautiful richness without having too much of a blue undertone. Gentleman's Gray is stunning, especially against all the glassware and silver in this setting. It would be so dramatic in a dining room. Dreamy is the word that comes to mind when I see Iceberg on the walls in this room. Perfect for a peaceful bedroom. I have to love this one since I live just outside of Knoxville. And I adore how they added the big orange chairs and pencils. Perfect. It's a very nice wall color, indeed. More of the 80's theme here. It would look pretty in a girl's bedroom or a shabby chic home. 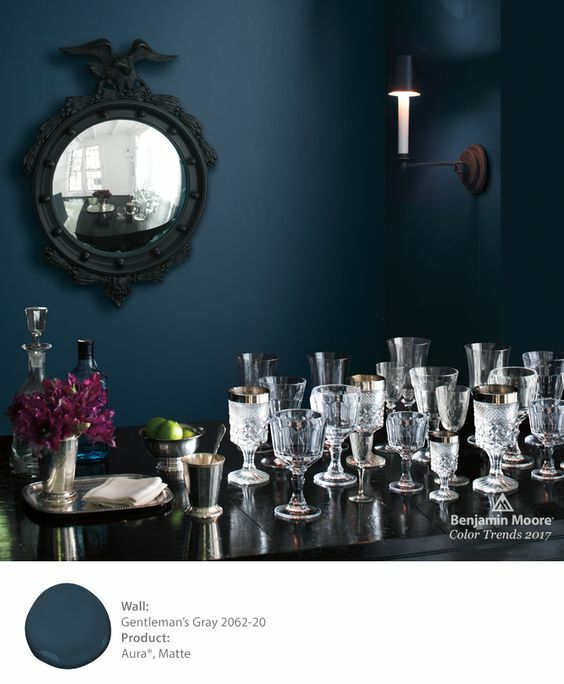 And the Color of the Year? Shadow. Moody and dramatic, it would really make a statement in any space it was used in. 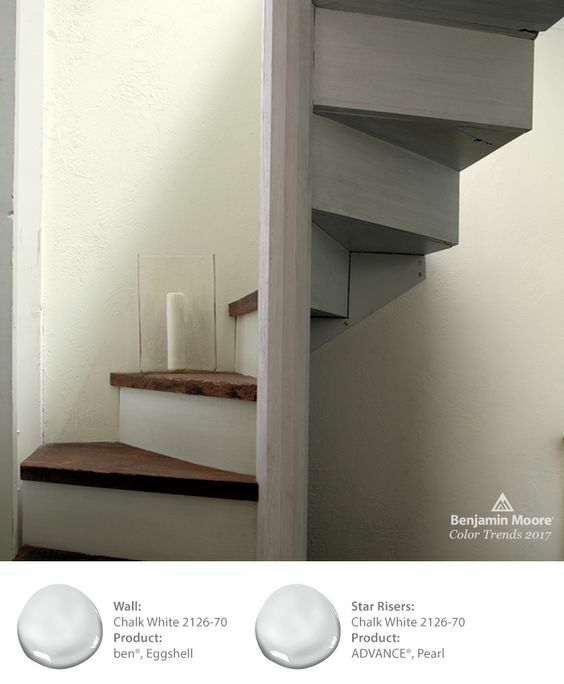 It's a nice complement to the old wood stairs in this space. Rich and regal, it makes the red rug and fuchsia chairs in this room really pop. What do you think? 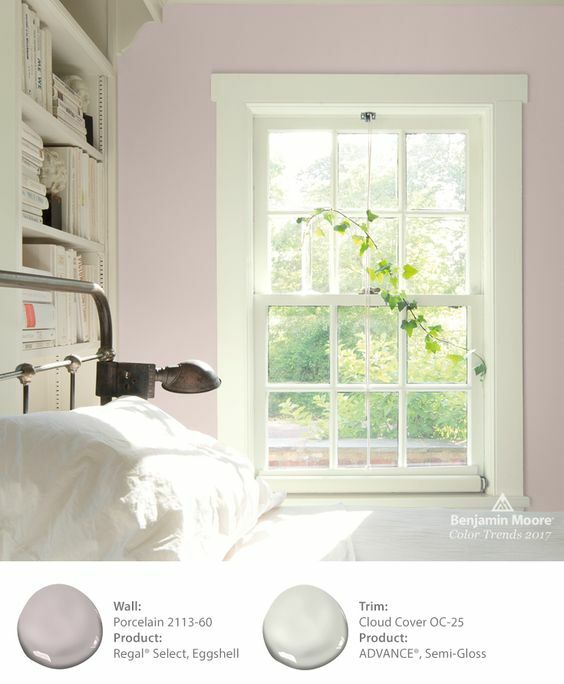 Are there some winners in the 2017 Color Trends? 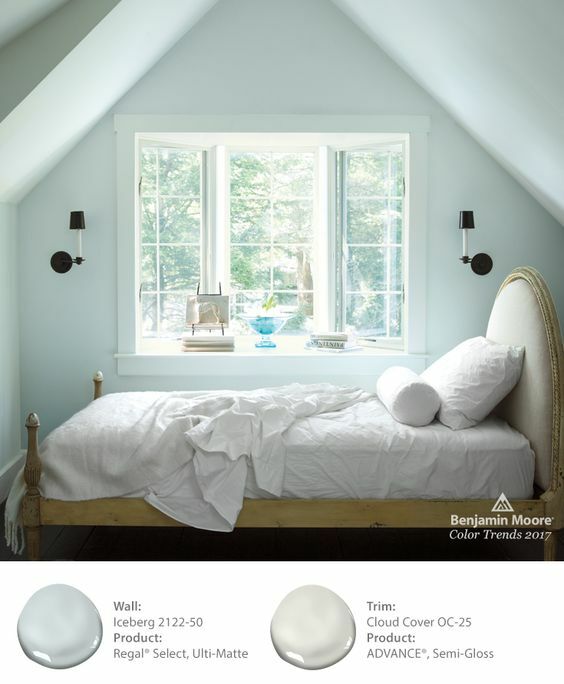 Benjamin Moore is my favorite brand and it's always fun to see what they choose as their favorites. 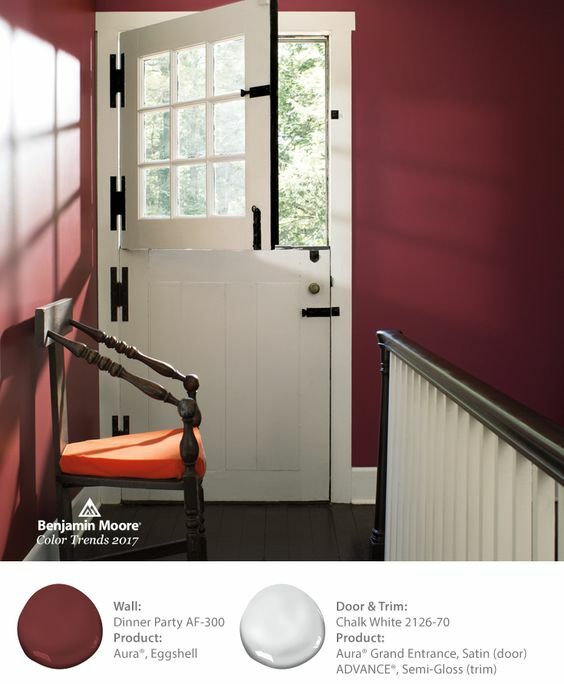 Want to see more paint colors? 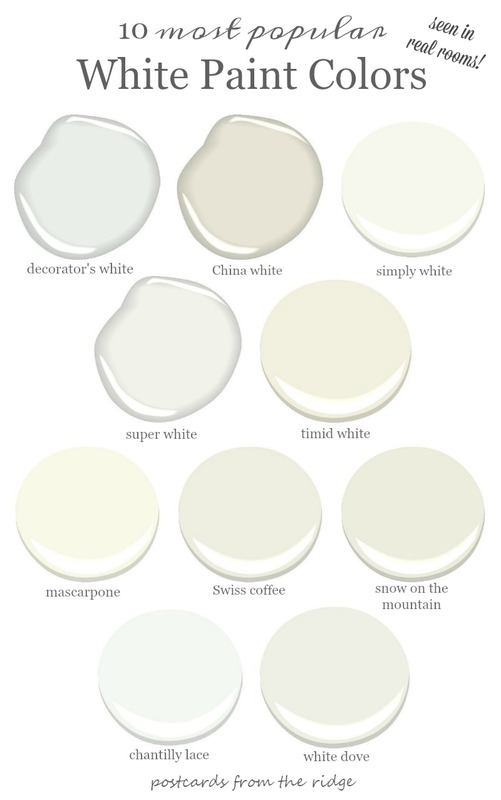 Go to my >Favorite Paint Colors< to see lots of good choices. 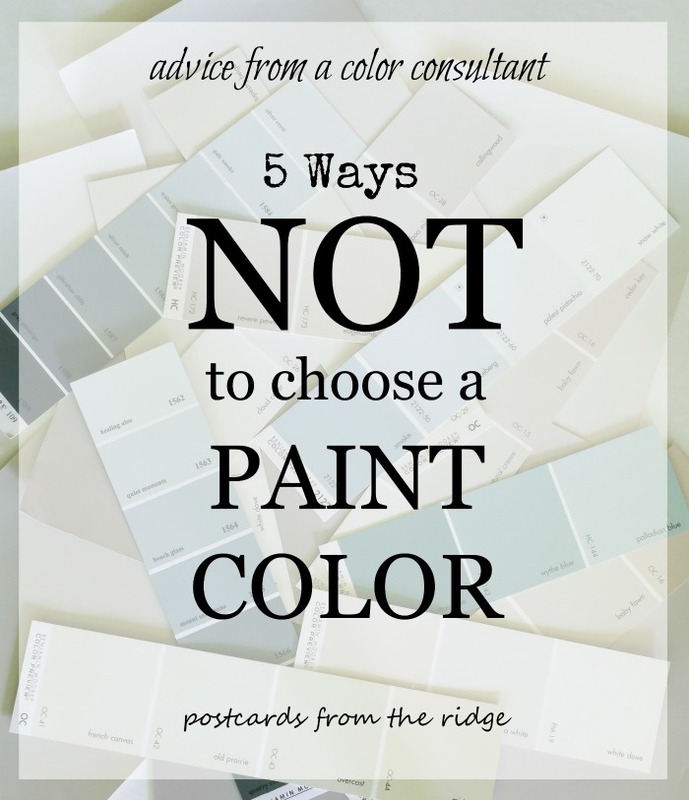 See how NOT to choose a paint color >in this post<. 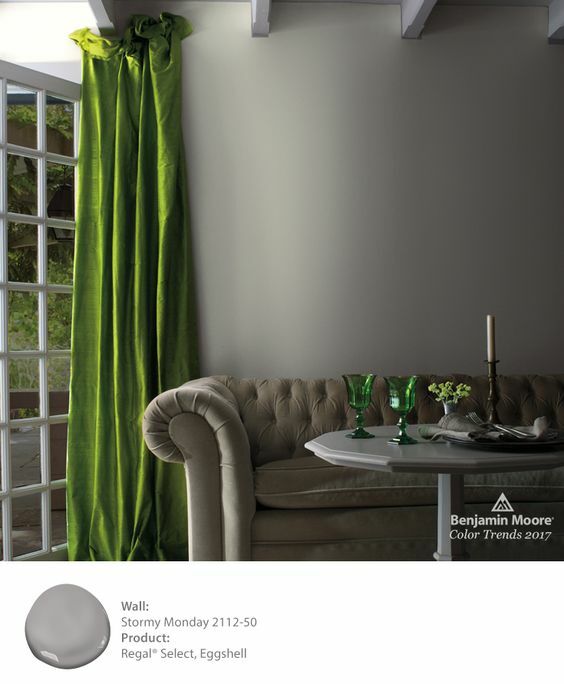 Keep up with all the latest color trends and home decor ideas by subscribing to updates. 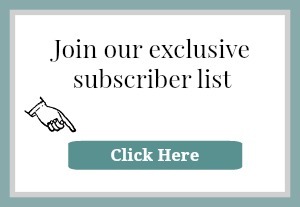 Click the photo below to sign up. 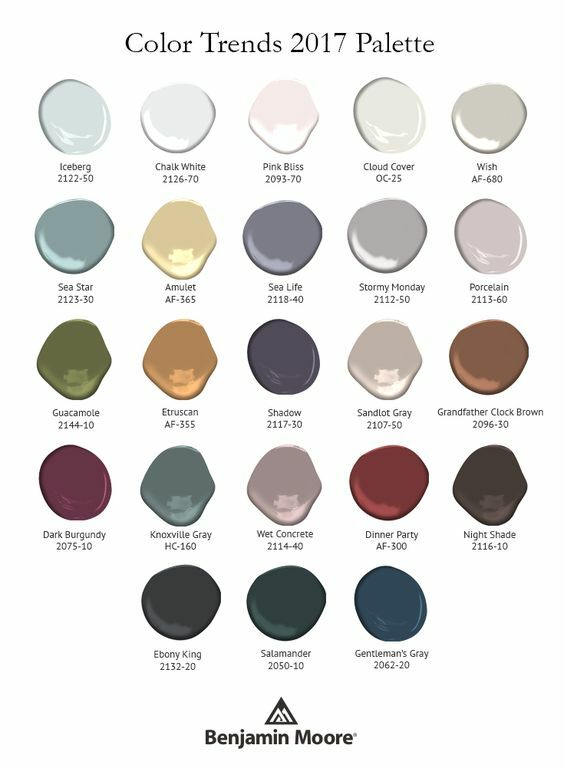 I love Gentleman's gray and have considered it for when I finally repaint my red dining room. 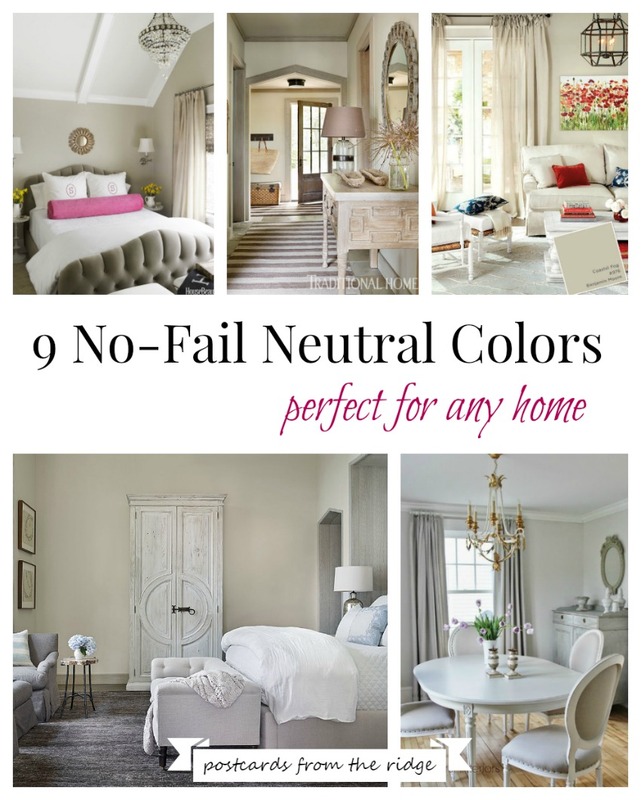 My other option is to go very light...It's always fun to see the new color trends!